A business minister tried to do a photocall at a florist to promote small companies – that closed four years ago because there wasn’t enough government support for small businesses. Minister for Small Business, Consumers and Corporate Responsibility Kelly Tolhurst MP contacted Sweet Pea & Olive owner Linda Driver to offer her help and support at her high street shop on Small Business Saturday this weekend. 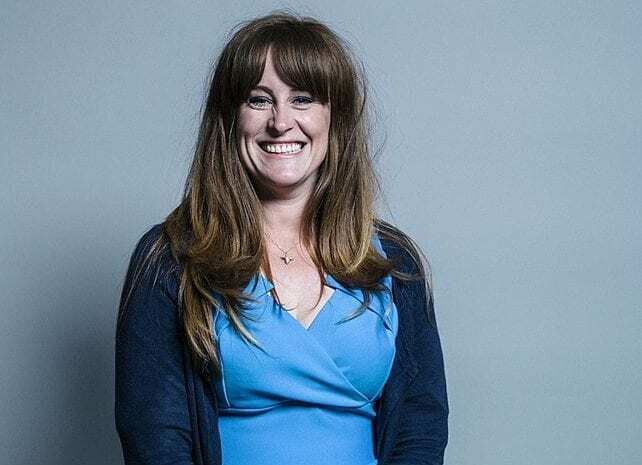 But Linda, from Rochester in Kent, had to inform the Tory MP her she did not qualify for the visit after she lost her spot on the high street in 2014 – because she didn’t get enough support. Linda’s business thankfully did not close completely, and now she trades from her website. The 69-year-old replied to the aide’s email, but has not yet heard back from Mrs Tolhurst, whose ministry is part of the Department for Business. She said: “Thank you for your email on behalf of Kelly Tolhurst – it’s very good to hear that she is reaching out to the small businesses in her area. “Unfortunately l do not feel l am a suitable business for her to visit as I no longer have my bricks and mortar shop. “I work from a website only and I am currently based at home. “However I am sure she would have much better photo opportunities visiting one of the small businesses on our beautiful high street and it would be a great opportunity for one of those businesses to give their feedback. “I wish Miss Tolhurst all the very best as the Minister for small business – she will certainly have her work cut out as so many small and micro businesses are popping up now. Linda, who once delivered flowers to the Tory MP, said it was a shame to lose her shop. She was forced to move her entire business online when her landlord turfed her out, because Linda did not want to take the risk of a longer lease. The old flower shop has since been converted into a hairdressers which Linda said is doing very well, but added she would not go back to the high street even if an opportunity presented itself. She said: “I wanted to renew my lease back then because we were doing really well but nobody wanted to renew their leases at that time and it had a knock-on effect. “But now people are shopping online more and more, and my website spreads my ‘shop window’ further than before. “Those shops where you have got to go physically for their services are the ones that are going to survive. Linda created her website in 2010 when she realised the young girls she employed at the florist were only shopping online. She said she no longer has to worry about the higher business rates that comes with it as well as managing its opening times, and staff wages. She added: “It is so hard for the high street shops who have to get everything spot on – it’s sad. Linda said florists are now facing increasing competition from ‘order gatherers’ that pretend to be local florists online. She added buyers are left unaware they are dealing with ‘middle-man’ companies who secretly source their products from high street shops before bumping up the price and posing as local flower shops. “They advertise that they are a local florist and then speak to a real local florist and take money from what would have been their direct customers. The MP for Rochester and Strood has been approached for a comment.